Commercial photography is a vast field with multiple categories of photography and specializations under it. Commercial photography, deals with photography taken for commercial purposes – to promote a product or brand or even an individual, or to sell a product or service. It involves taking photographs of products, services and even high-value individuals, to use in advertising campaigns like newspapers, magazines, brochures and more, to promote the clients or their products or services. Sharp and beautiful photographs that you see in billboards, product catalogues, business websites, advertisements, etc. comes under the category – Commercial Photography. This branch of photography is majorly used to drive sales and build brand awareness by promoting a product or service. Commercial photographers capture the essence of a product or service and convey it through the images. The pictures clearly convey what the brand or service stands for. Advertising photography is used majorly with the purpose of highlighting a product, service, brand or an individual, in print advertising, such as magazines, newspapers, leaflet and more. You can also see them in websites, television ads, digital ads, and billboard, promoting a product or service. It is one of the most popular photography categories and is primarily sales driven. It can be done through an advertising agency or design firm. Aerial photography is that category of photography which is taken from a higher position. Photographs are taken from an elevated position using higher-end cameras from helicopters, aircraft systems, parachutes and balloons. Concepts used in aerial photography includes fiducial marks, frame numbers, focal length, roll, flight lines & index maps and stereoscopic coverage. Architecture and interior photography is capturing images of structures, buildings and interior of a house or restaurant or any space. Photographers use lightning techniques and shooting tips, to capture the beauty of an interior space. This kind of photography is utilized to promote a restaurant, real-estate businesses, houses and more, to attract customers. Automotive photography is utilized by car companies and automobile dealerships to promote a brand new or existing cars, driving awareness about a car’s features and benefits to potential customers. With growing craze for cars, automobile photography is in great demands. It highlights every new and prominent features in a four-wheeler to increase the interest of customers in the car. Food photography is a specialized category of commercial photography. The food industry has always been a popular industry and has been growing rapidly over the past decades. So the demand for photographers who captures the pictures of various cuisines and menus in an attractive manner, are on the rise. Product photography is taken very seriously in a product based company. Through excellent product images, a company promotes product awareness among customers to increase sales. 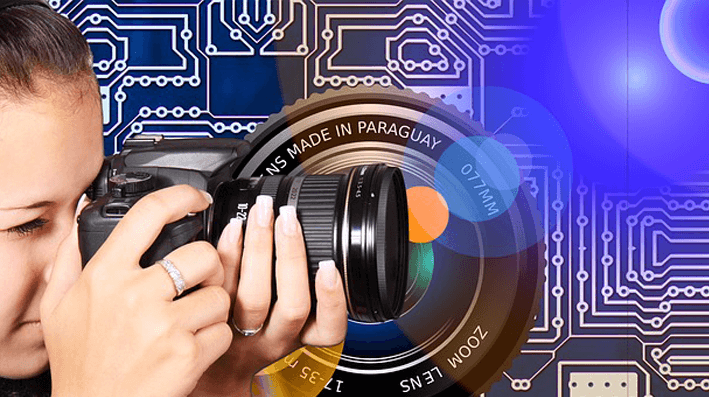 Product companies have been using this branch of photography since decades and this trend is taking on to the next higher level. This type of commercial photography is critical to promote a product’s various features, benefits and showcase its style quotient. Journalism photography is the art of taking photographs which are considered as newsworthy. It generally goes along with news topics, to substantiate the news story. Photographs for news are not always an easy shoot, sometimes it need the journalism photographer to run into life-threatening risks. These photographs capturing a major event or current happenings in the world, are used by media houses, news channels, online news portals and more, to bring the truth behind an event or situation. It is a type of photography that captures the most important, interesting and crucial happenings in the sporting world. These photographs are utilized to write sports news, players’ related news and to cover a sporting event. Sports photography use excellent cameras that take sharp pictures of players in action. Another field of commercial photography, which is in great demand in the sporting world. Jewelry photographs are at the heart of the jewelry industry. Every beautiful aspect of a ring, bracelet, and necklace are highlighted in ways that bring out the best in a piece of jewelry. Jewelry photographs are used in brochures, newspapers, digital advertisements, and on social media channels by jewelry businesses. Looking for photography classes? Post your learning needs on UrbanPro now. This article changed my life! This article was informative. I have a question. This article contains incorrect information. This article doesn't have the information I am looking for. I have a question. Sorry, this phone number is not verified, Please login with your email Id. Looking for Professional Photography classes? Find best Professional Photography classes in your locality on UrbanPro.